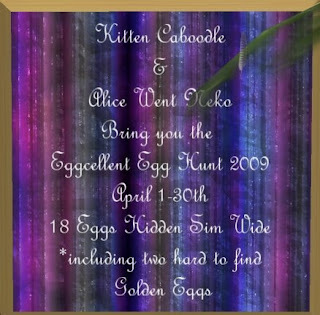 Search Details: Hunt 18 eggs scattered across the sim. 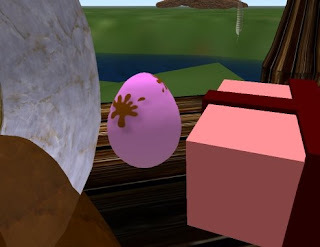 Two of the eggs are "golden" with extra special gifts and therefore much harder to find. Sample egg shown below. Difficulty Rating: Medium. Large area but pretty and relatively lag free. Serenity wins the Cupcakes Silks from Sanu! Felis OMFG GO! Very Limited Time!